The delicate and soft Amalia Floral Robe is understated and sweet. 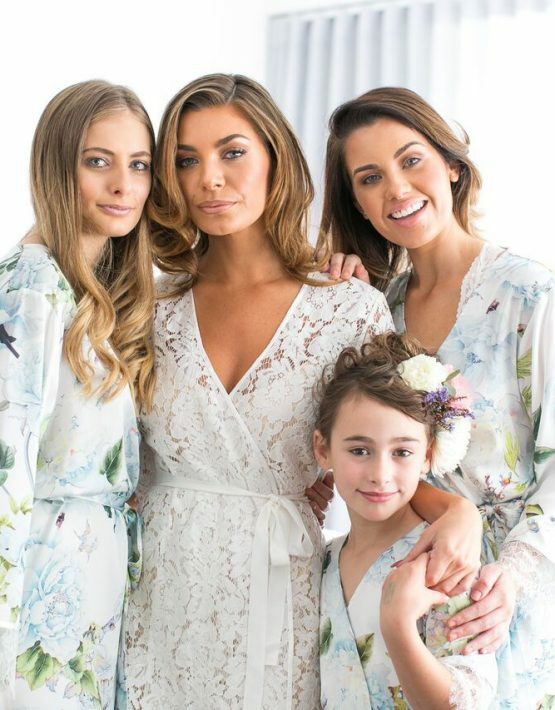 With it’s exclusive hand-printed design and eyelash lace trim with ribbon details, this robe is perfect for the Bride or a group of Bridesmaids! Can be paired with Amalia Cami Set and coordinates beautifully with our Alya robe. Model is wearing a size small robe. She usually takes a size small/AU8, is 5’7” (170cm) tall and has a 64cm waist.